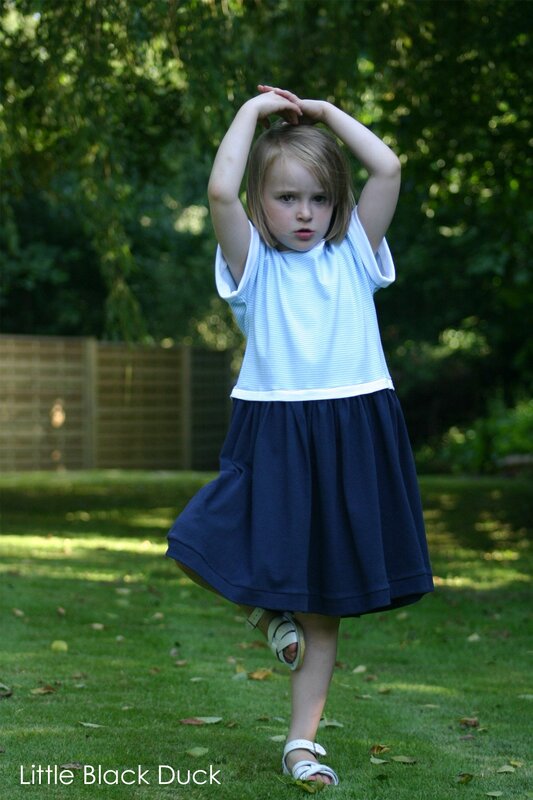 How are you getting on with Kids Clothes Week? Are you taking part? When are you squeezing in the time to get your sewing done? I have mostly been snatching a bit of time here and there when the girls are playing in the glorious sunshine we are having at the moment. 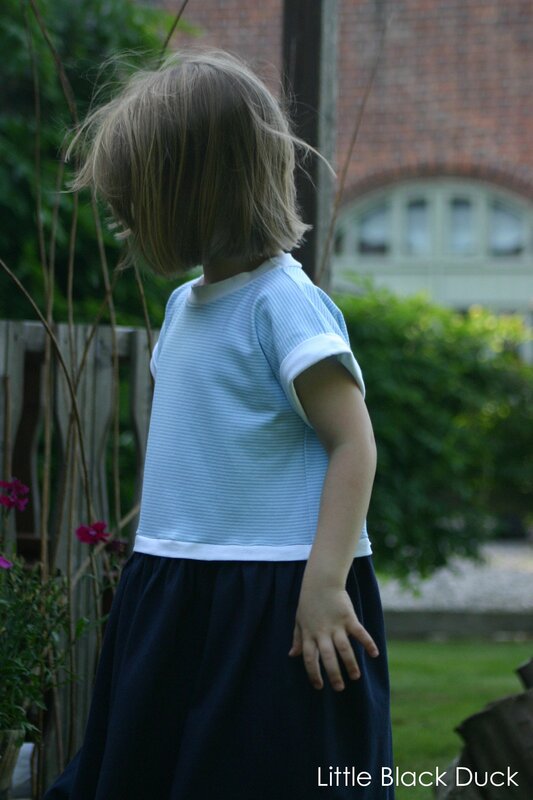 My second project for Kids Clothes Week is what I’m calling my Lazy Days Summer Dress. I have had this dress design floating around in my head for some time so I figured I would use the excuse of Kids Clothes Week to get it drafted and a sample sewn up. I seriously love pattern drafting, I could do it all day. I think it’s because it’s a good mix of logic and creativity. 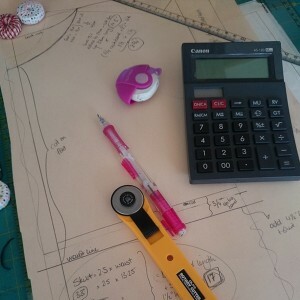 Have you tried pattern drafting from scratch before? So, the dress, it’s made from knit jersey and features a loose comfy design with ‘grown on sleeves’ perfect for hot weather. It has little turn back sleeves, that I have sewn in a contrast colour to match the neckline. 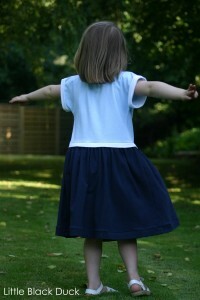 There’s also a little contrast colour detail at the waist and a nice full skirt. So the big question that is going round in my head is, whether other people like the dress and whether I should take the big fat step of turning this dress pattern into a pdf pattern…..what do you think?